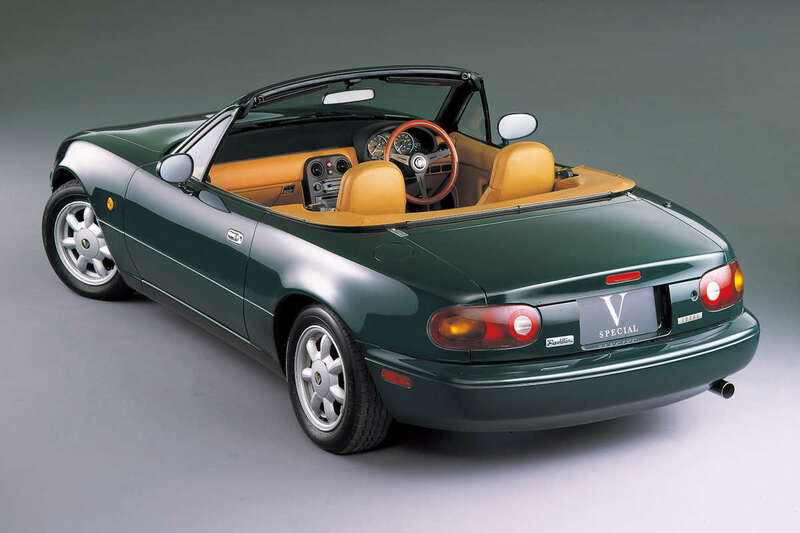 Mazda’s parts re-supply program for the first-generation MX-5 is now firing on all cylinders. 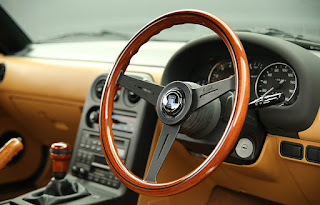 After initially limiting it to big ticket items such as the 14-inch tires, canvas top, and the Nardi wooden steering wheel and shift knob, the Japanese carmaker has now expanded the available parts for the 29-year old “NA” roadster. This tire is specially commissioned by Mazda and adopts the same tread pattern and side wall design that came with the MX-5 in 1989. 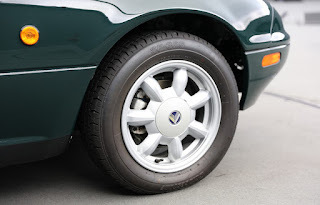 According to Mazda, this should bring the Roadster’s ride and handling back to what the factory intended it. The original vinyl soft top from the original German supplier is now impossible to obtain, so Mazda had it reproduced by a US-based manufacturer with a rear plastic screen made in Italy. 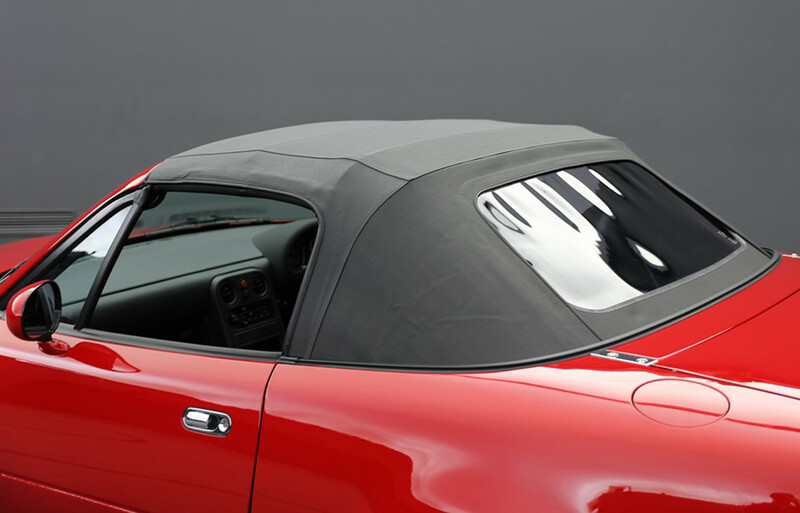 This new soft top clears the strict tests for the mass production model at that time. 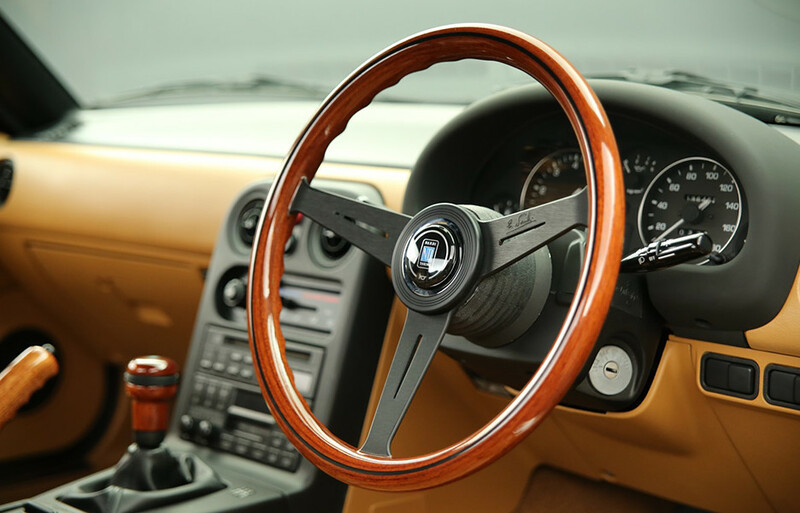 Original equipment on the V-Special Roadster, the NARDI steering wheel and shift knob have both been recreated using the original mahogany wood specification. Sadly, the hub kit is a separate purchase. Mazda’s close attention to detail is seen in their decision to reprint the original warning labels. Using drawings and schematics available from that time, they’ve replicated all the engine labels but this time using a heat resistant material. For those who want their MX-5s to have perfectly-fitting floor mats, Mazda also reproduced period-correct floor mats to match both the black and tea colored interiors. 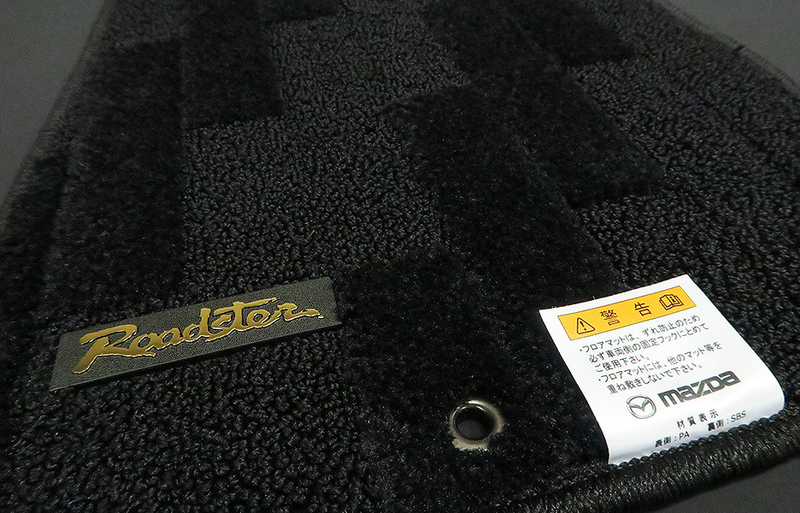 Naturally, this is right-hand drive specific, but it’s interesting to know that Mazda has opted to add a modern-day mat hook on the driver’s side to prevent the mat from sliding forward and getting trapped in the pedal area. 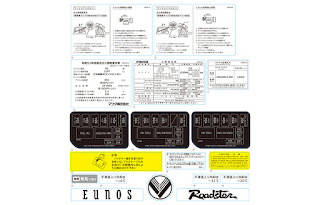 Whether you’re in the market for the engine labels or the soft top, the good news is that anyone can buy these parts at any Japan-based Mazda dealership. And while you don’t need to apply for the restore service, you do need to buy an airplane ticket and probably spend a couple of days there especially some are available on a by-order basis. But there’s even better news in the horizon. Bermaz Auto Philippines, the exclusive distributor of Mazda vehicles in the Philippines is, according to a Mazda executive, is working to bring these restore parts here sometime in the near future. This is great news for MX-5 owners here in the country who want to continue enjoying their first-generation MX-5 for decades to come.